World Match has released a batch of 12 HTML5 video poker games. “This game batch boasts some unique characteristics that no other provider is currently able to offer: it includes all the variants of video poker and all the games are equipped with jackpot,” said Andrea Boratto, executive director at World Match. 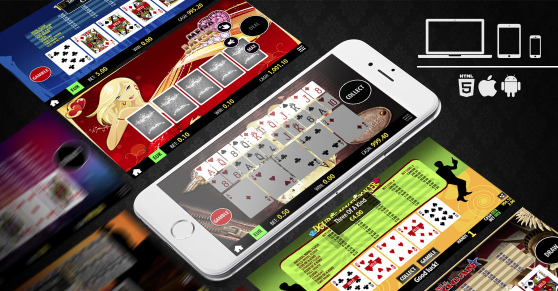 The mobile and desktop versions of WM video poker are exactly alike, sharing the same game engine and features, the same animations and themed sounds – and the same jackpots. Furthermore, players are able to change device at any time, resuming the game exactly from where they left it. The games are Super Las Vegas HD, The Saloon HD, Mega Jack HD, Aces and Faces HD, Deuces Wild HD, Jacks or Better HD, 10’s or Better HD, All American HD, Double Bonus Poker HD, Joker Poker Kings HD, Double Joker Poker HD and Joker Poker Aces HD.